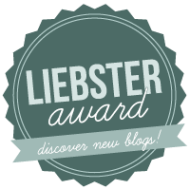 A huge thank-you goes out to Endless Edits who nominated me for the Liebster Blog Award! Please check out her site! I was actually nominated for the award a few years ago when I was on Blogspot, but I’m happy that my new and improved blog has been nominated as well! There are a few rules for accepting the Liebster Award, they are: thank your nominator and link back to their website, answer your nominator’s questions, leave 11 facts about yourself, nominate 5 or more blogs with under 200 followers and give them 11 questions to answer. 1. What personal trait of yours do you most often give to your fictional characters? Probably insecurity. I myself am a very insecure person, and I tend to foist that sense of fear, guilt, shame, and inadequacy on my characters, heroes and villains alike. They are usually insecure about different things, but that sensation is still present. It’s a huge motivator for character and plot development. 2. Which part of the writing process do you dread the most and why? Ever heard the saying, “I hate to write, but love to have written”? Yeah, that’s how I am. It’s so rare for me to be on a roll these days that pretty much any part of the writing process that doesn’t involve basking in polished prose irks me. Hammering out prose is hard, and I’m learning that editing your own work is just as hard as writing it in the first place. However, there are those days where the words seem to flow, or I get really excited about exploring an aspect of my characters, or a plot problem that’s been bugging me works itself out…those days are amazing. 3. What’s your favorite book and why? In the morning, if I can. The perfect morning involves me getting up early (between 7:30 and 8am), taking a walk, writing for about 30-60 minutes, eating breakfast, and writing or editing for at least another hour. I also try not to talk to anybody, read anything, or get online during that time. If I do, it’s like my brain wakes up and starts running on the hamster wheel of life. I get distracted and stressed, which totally throws me out of a writing mood. It is possible to write later in the day or after being distracted, but it’s usually harder and peters out quickly. 5. Do you prefer libraries or bookstores? Libraries. Don’t get me wrong; I love me a good bookstore. But bookstores have a teeny-tiny hurtle called “money” that prevents me from frequenting such establishments. Few things in life are more frustrating than seeing hundreds of stories that you can’t afford to own. (Plus, as online shopping boomed, the browsing collections of bookstores became rather…thin.) But with libraries…I’m lucky enough to have access to all the libraries in Maryland and Pennsylvania (if I use their Interlibrary Loan system, or ILL.) And it’s free. I know some libraries charge money to rent movies or their late fees are high, but thankfully the ones I access on a regular basis are pretty reasonable. So get a library card if you don’t have one already. There is SO MUCH out there! 6. What do you normally eat/drink while writing? I’m usually sipping water or tea while writing. If I have a deadline or am smack-dab in the middle of NaNoWriMo, then I’m chugging Dr. Pepper and nom-ing peanut M&Ms at an alarming rate. 7. What are your muses? 8. What kind of genre do you read? I focus on fantasy and science fiction, but I also read a smattering of other genres and sub-genres. Manga isn’t a “genre” but I consider that and comic books their own thing, so I read those. Oddly enough, I also read nonfiction that specializes in pop culture, the internet, nerds/geeks, and atheism. 9. Who’s the best character ever written? I don’t have an objective answer for that, but there are two characters from books who kind of tie in my head for best well-written character. The first is Jane from Jane Eyre by Charlotte Brontë. I love this book; I read it at least once a year. What’s wonderful about Jane is how relatable she is for me. She’s just this quiet, mousy little woman trying to get through life, but there is so much more going on beneath the surface. Although she doesn’t think much of herself, I think Jane has a moral fiber that others should reach for. When she’s faced with the ultimate temptation, she chooses to be true to herself. A weaker person would have succumbed. 10. If you could travel through time, would you go to the past or future? The future. I’ve thought about going into the past (my own methods of interacting with people are more akin to the Victorian Era, or Japan) but honestly, I think I’d rather see where we are going. I want to go to a point in history when humanity has put aside (most) of its petty differences and goes to the stars. 11. How do you balance your life while reaching your writing goals? HAHAHAHAHA I don’t. Not really. It requires constant rearranging and adjusting, and it always seems like mundane life takes over and kicks out writing, even though I can’t imagine not creating stories. So while I try to always make sure writing has a place in my day, I don’t feel like my life is very creatively balanced. Not yet, anyway. It’s a work in progress, like everything else. If (when?) I hit that sweet spot, I’ll let you know. 2. I just love the typeface and yellowed paper of old pulp fiction books like Tarzan, Gor, and Fahrenheit 451. 3. I have never ridden a roller coaster that goes upside down. 4. The feel of velvet or coats made from real fut makes me twitchy and uncomfortable. 5. I almost strangled myself at birth with my umbilical cord. 6. Every time something has become popular (Transformers, Harry Potter, vampires, etc.) I’ve never become interested in until 6-8 years after the fact. 7. I have a small obsession with Vincent Valentine from Final Fantasy VII. 8. Over the last few years, I’ve come to identify myself as a feminist, LGBT rights supporter, and atheist, thanks in part to Youtube and online debates with my uncle. 9. Bioware and 343 Industries make the best video games. Ever. Thanks! Yes, if you get a chance, do check the other books out….they are quite amazing. Thanks for the comment and the reblog!